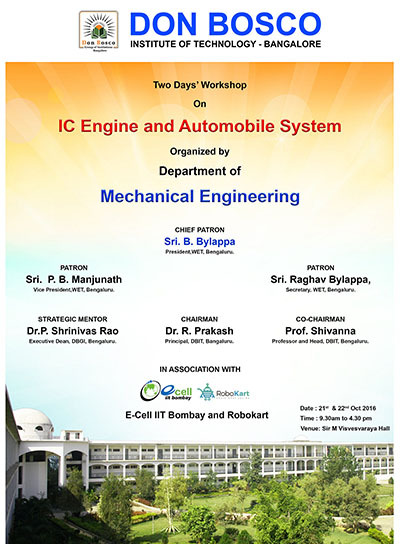 The course provides student an insight of the Automobile Industry, 3D modeling theory etc. These 3D modeling sessions will be really helpful for them to get started with the basics of Catia v5. CATIA lets students to design shapes and reach high levels of surface sophistication with its 3D sketching & visualization features. With CATIA, product developers can take an integrated systems engineering approach. This course emphasizes on the solid modeling techniques also that enhance the productivity and efficiency. 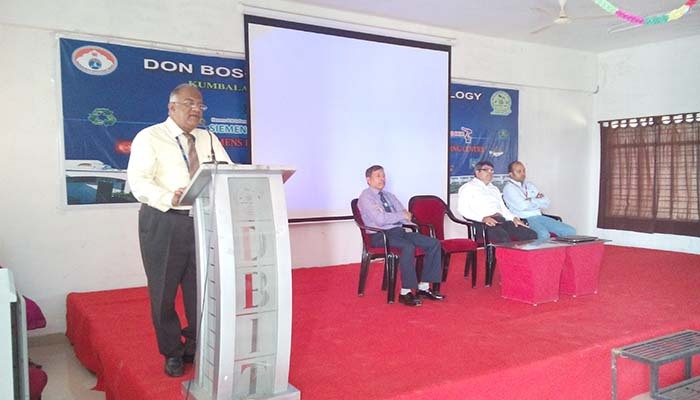 Moreover these sessions will also provide Introduction to the Latest technology like PGMFi, DTSi, MPF, CRDI etc. Internal combustion engines are most commonly used for mobile propulsion in automobiles, equipment, and other portable machinery. In mobile scenarios internal combustion is advantageous, since it can provide high power to weight ratios together with excellent fuel energy-density. This engine appeared in all most all Automobiles, motorcycles, boats and in Wide variety of Aircraft and locomotives. Where very high power is required, such as jet aircraft, helicopters, and large ships; they appear mostly in the form of turbines. They are also used for electric generators and by industry. Mr. Prakash, GM of the 3rd plant along with his staff explained the various processes involved in producing the components viz., Bush for Spark Plug (M/s Bosch) and various sizes of Plungers (M/s Brakes India Ltd) including Quality checks and inspection methodology that are being followed and are being processed on CNC Lathes and Sliding Headstock Automats(Non-CNC) machines. The program was inaugurated by Principal highlighting the importance of course for the present day Industry requirements and in development of Career of students. Prof. & HoD (Mech. Engg.) 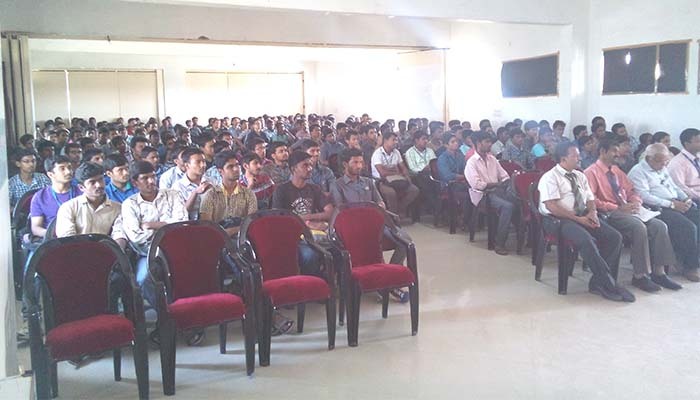 also gave an insight into its applications in industries and importance of these courses. We thank all the HoDs of above concerned Depts. who attended the seminar and also inspired the students in attending the seminar in a big way. 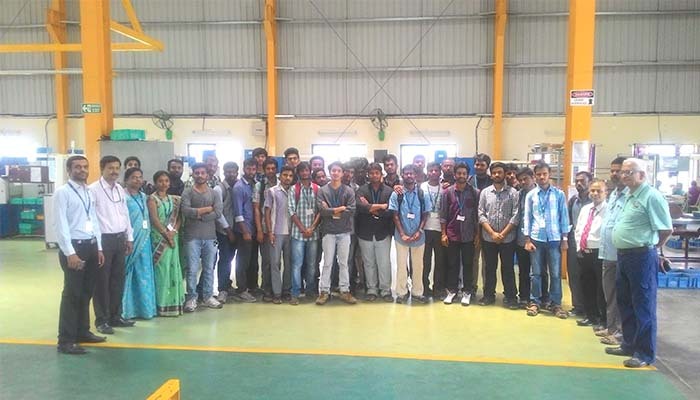 M/s Bosh Rexroth executives explained about the contents/concepts and its applications and was well received by the audience/students by interacting with the executives making the program live and success. Also we thank all the staff who used this opportunity by attending and awareness of the technological developments in this field. Also we thank Management, Principal and Prof. & HoD of Mech. Engg. for their presence, support and encouragement and made the event successful in a spirited way. We have received registration from 24 students for the above course (annexure-1) and also please find enclosed snap shots of the event.